asr took a couple of minutes to calm down. there was whisky all over his hands, his shirt, his slacks, a bit of sizzle wherever it splashed, but what burned really was in his head… a sudden flare of temper and other things the moment he heard jean pierre say he wanted to take that wretched girl out. asr closed his eyes and took several deep breaths in an effort to cool down. 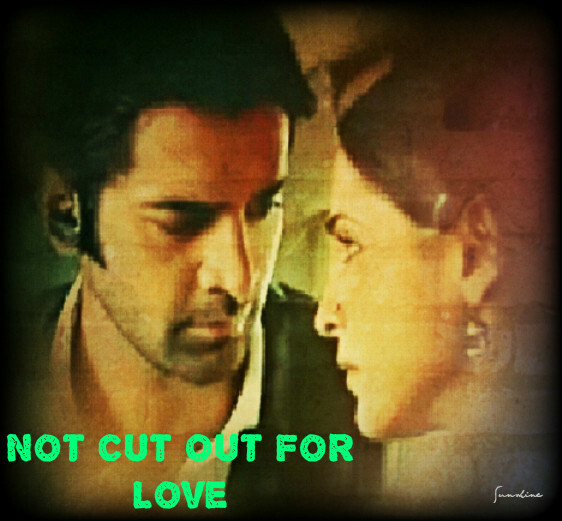 “yes, jean pierre,” asr said crisply, his pause and deep breathing seemed to have worked, “so you want to take khushi out? are you aware of girls from lucknow, jp? that they are not exactly girls from paris or london or sao paolo or delhi for that matter? you know the sort of women you take out to dinner, and then something else afterwards…? well, she is not that sort…” there was definitely a sleek, hot anger running through the words… no, the breathing had not worked that well. “ah, ahhnav, cinderella is she, my sweet khushi!” said jean pierre indulgently, quite amused. an expletive was heard from the other end. but the there was no answer. the line had gone dead. it was almost eleven at night. the moon outside looked pale and large, a full moon night was coming up soon. khushi tossed and turned in bed. she had been trying to sleep for the past one hour but nothing seemed to work. her eyes kept flying open of their own accord and an emptiness played around her heart. she felt the hollow feeling spread to her stomach. this couldn’t go on, it was pure torture not being able to sleep and feel all these sensations. she sat up and turned to devi maiyya. the chunari lying on the head of her pretty idol of devi maiyya fluttered a bit, seemed a breeze was stirring outside. but talk of gulab jamun and that empty feeling in her stomach completely possessed khushi now. she got up and started to make her way to the door in the dark, only the moonlight falling through the open window illuminating her way. she needed to eat something. abhi, issi waqt. she went to the small little kitchen tucked away at the side of the living room and switched on the light, there must be some pooris and samosa left over from the meal bua ji had served up just a while back. yes, and jalebis too. she found them soon, quickly put a couple of puris, a samosa, and a handful of jalebis that wouldn’t bear counting on her stainless steel plate and sat down at the dining table. gleefully, she wolfed the almost midnight snack down… she even giggled to herself remembering how preeto and she had sneaked into the kitchen at gomti sadan one night, when preeto had come to stay with them because her parents were away, and together the two of them had polished off almost all the besan ka laddoo amma had made for breakfast the next day as some guests from babu ji’s village were expected in the morning. they had also finished all the left over upma from tea time. amma was very keen to learn new south indian dishes from janaki aunty who had moved in next door just a couple of months ago. khushi approved of this curry leaf, mustard seed, dry red chilli flavour. ah ha ha ha ha, khushi’s head swayed a bit in appreciation as she remembered the great food that other night. and the delicious spiciness filling her mouth, her senses, her shivery emptiness inside right now. bless bua ji, she thought, such a kind and sweet aunt, and she understood the value of good food just like herself. then she remembered bua ji’s long, off centre plait, her om locket flush against the rolls of fat on her neck and bobbing, and grinned some more. eating done, feeling a bit more steady, she got up, rinsed the plate, drank some water, clapped her hands and said, “chalo ho gaya, ab soyenge!” quite loudly. hearing her own voice in the silence she shushed herself and giggled again, then tiptoed her way out of the room to her bedroom, switching off the light as she left. her head hit her pillow, already drowsy… she was fast asleep in seconds. the breeze made devi maiyya’s chunari flutter once more. he was seething with an emotion he couldn’t name. jean pierre wanted to take khushi out. why was he bothered. his lips pursed, he could feel the breath he exhaled was warmer than usual. a need to do something, something fairly violent made his hands itch. he picked up his glass of whisky and took a quick sip. the ice cooled the temperature of the single malt, but couldn’t douse the heat, the sublime fire within. he felt it pour through him, down his mouth, his throat, his oesophagus, it seemed to change track and reach his heart. arnav singh raizada exhaled slowly. then he got up, strode into his room, picked up his car keys and walked out on brisk and sure feet. he had to be in his suv right now. he had to drive. he had to harness the wildness coursing through him. for years now, the solitary cabin of his large vehicle, not a latest model graceful sedan, not a sleek expensive and statement making sports car, nor a bentley with its nose up in the air, or a rolls that spells class and serious wealth, all of which he could easily afford, but it was this one that had given him what he wanted, he needed. his rugged, all weather suv. he had chosen it for himself and felt good driving it. maybe it was his need to ride something at a height, a yearning for control… maybe this happens to you when everything goes crazy one night when you’re only fourteen. but beyond all maybes is a man and his decision. it is what it is. he felt at peace here. something clicked. the quiet of the cabin and its hushed leather interior soothed him, he enjoyed the moulded head of the stick shift gear in this fist, the movement of the steering wheel under his expert hand, the lines and expanse of the glass that wrapped around him, wide windshield, large windows. he liked the snug privacy, the smooth air conditioning. solid, clean, no subterfuge. he knew exactly what to expect of it. no trick, no game. in a world that was essentially slippery, where not much could be trusted… his suv, simple hardy ready to take whatever came its way. and really not pretty to look at. he turned on the ignition. the car purred to life. his hands and feet and eyes knew what to do without having to be instructed. almost in autopilot mode he began to drive. the night was dark, but the bright moon lit up the road before him, and the beams of headlight. he drove around without really thinking where he was going. it was only when he saw the temple by the road that something struck him. he looked out to see where he was. that temple was familiar… he realised he’d come very close to her place, lakshminagar. his brow furrowed in consternation. what was he doing here? he glanced at it with his head cocked to one side for a second, an unreadable expression in his eyes. then on an impulse, he moved the gear and glided silently toward her home. the house was dark but as he came up, he could see a window was open. when he reached there he saw her. yes, it was khushi. moonlight fell on her white nightwear and a part of her face. her eyes were closed, her hands folded, and she whispered something as her lips moved rapidly. why did she look so clean so unlike anyone he had ever seen he wondered. especially in the light of the moon. and what exactly was she doing? she seemed to have a lot to say. he watched quietly. yes, she speaks a lot, he thought… really daft things most of the time. her parents, it seemed, were stars. what the. and anyway, he must ask her about her parents… weren’t they in lucknow? she jumped up and rushed to the next room. the lights came on… and before his astonished eyes, the girl rummaged around, found all kinds of food, piled up a stainless steel plate and sat down at the table. she finished the rest of the food, got up smiling, drank a whole glass of water, clapped her hands and muttered something, turned off the lights… went back into her room and disappeared from sight. he watched the hectic goings on inside astonished. at some point, he had begun to smile slightly, his lips lifting on one side. when she was not to be seen any more, he realised he was smiling. he instantly scowled, and muttered, “hope she didn’t fall on the floor and pass out after gorging like that,” and the scowl getting darker, he drove off. asr lifted his head, he had been engrossed in the bali ensemble… it had to be thought through properly. the chances of being cliched, not unexpected, were high. he frowned. ever since the mid twentieth century, bali had fascinated the design world, especially the western world. many fantasies, many images. balinese conjured pictures serene and luscious and alluringly sensuous. he was looking for something beyond that in bali, the once thriving kingdom of hindu and buddhist rulers, then the majapahits of java… a highly syncretic mix of many cultures, the dutch and arab muslim world in it too. 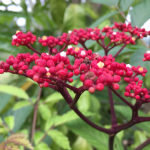 where was the spark of bali really… was there something in it not yet explored… that was the question with which this whole thing had started. he was still looking for that something. he knew they were close… just that it had not yet revealed itself. it would come no doubt. it always did, every time an idea said it had seed, it had power. he was lost in these thoughts when he heard the “sir,” and looked up, not really sure who it was that called him. must be aman, he was the only person in ar who called him “sir” and might walk into his cabin without knocking clearly at first. “yes, aman?” he said still thinking as he gazed toward the door. it wasn’t aman. unless aman wore white shiny churidar kurtas these days. with lots of silver gota. khushi stood there shimmering. unconsciously his eyes searched for the signs… white and silver pompoms on her sleeves, check. on her neckline, oh that’s new. without even looking, he knew her plait must be decked with a parandi with those things too and on her dori at the back, plenty pompoms no doubt. his eyes took in also the white and silver bangles, the small silver bindi, lightest of lipstick, kohl. he swallowed. “yes…” he said in a frosty voice. she looked down, her silvery mojris shuffled. 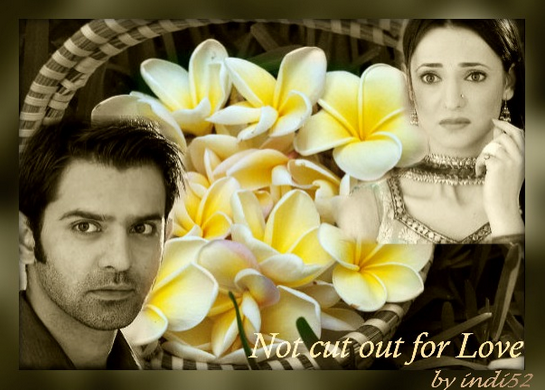 “nine o’clock, sir… you had said to report nine… sh… sharp,” khushi said meekly. why had the fight gone out of her, he frowned. “what?” he looked at her. he knew from the tone it was of course not nothing. women. at salman, again her eyes darted up. she seemed to grin, but her face wore that same blank look, and she looked away once more. what was with this girl. unbelievable. “and try not to eat so quickly and so much, especially so late at night… messes with your brain obviously… that is, if you have one,” he shot at her as he went back to his papers and frown. he didn’t see her eyes do a major widening and leap at that and stare at him, while her mouth hung open. all she said was, “ji, sir…” very very demurely and walked out. he looked up as the door closed and wondered why he wanted to throttle jean pierre. salman was a lovely young boy, just about twentytwo, from gujarat, but he had grown up in assam where his tea planter father worked. he was built quite small, around five feet five inches tall, wiry and lithe. he was always fashionably dressed, trendy in a hiphop sort of way. it was his dream to be a designer. he was from the national school of fashion design and he was also an avid jazz ballet dancer who loved to cook. he had been with ar for about a year. khushi gathered these bits of information as they chatted while organising the materials and accessories. kareena also wanted to be a designer. badly. she was going to be twentyfour this year. she was from chennai, her father was a tamil brahmin and her mother a bengali who was raised as a brahmo. khushi was fascinated, she had never met anyone like that. in her world, people did not marry even outside their caste… and here kareena’s parents seemed to belong to two different religions and one madrasi, one bangali. khushi wondered what bua ji might say… or amma… hai re nand kissore. but she knew babu ji would say caste and religion and north india, south india… such things are not that important, what’s important is to be a good strong human being. and to treat all human beings as equals. as part of the eternal, as one. oh she missed babu ji. such confusing days… he’d make it better somehow. kareena had studied english literature mainly to please her parents who were just not keen on the idea of their beautiful intelligent daughter getting involved in what they considered the not so intellectual world of fashion. in their eyes, this sort of thing was meaningless and a waste of time. plus, all the promiscuity. oh no, they would not want her to get embroiled in all that. kareena had tried very hard to do as her parents wanted. she finished her bachelors from madras christian college and started doing her masters, all the while sketching her ideas, experimenting with lines and textures… she loved textiles. she earned a first class in her masters and finally told her parents to give her one chance before starting off on her mba and letting her life take the course that she knew would yank her away from all she ever really had wanted. her parents were quite sure no one would give an m.a. in english a chance in a design set up. they obviously hadn’t heard of ar and its strange owner. passion was one thing asr could never turn away from. “portia! khushi… come here!” kareena was a slightly plump girl with a mass of dark curls that fanned out all around her face, her cheeks were full as were her lips, her nose was turned up prettily at the tip, her complexion was fairly dark… she always said she loved the colour of her skin, it made her feel desirable, like a cup of hot coffee. she was just about five feet tall and had the most intensely bright pair of eyes. she smiled often and khushi had liked her the moment they had met a few days ago. “kahan, kareena ji… where are you taking me?” khushi squealed as kareena romped around the room, dragging her by the hand. “yes, kareens baby, you are rather old.. isn’t she, kk?” salman piped up. he and khushi had just met when they were assigned this work. kareena threw a black silky material worked over with fine threads of matt silver on her. she scrounged around in the accessories shelves and found a head piece of white linen lilies and black lace which she fixed on khushi’s auburn hair. “portia and the boss!” kareena started laughing. “ah, zees is looking like a lot of fun!” jean pierre was standing at the doorway looking at the three of them. jean pierre went up to her and took the head dress off while he reached for the black silk to help her. “i thought we could have dinner some place nice…” he murmured. “dinner?” khushi gazed at him, “but i have dinner every night, jon piye ji…” not quite understanding what jean pierre meant. 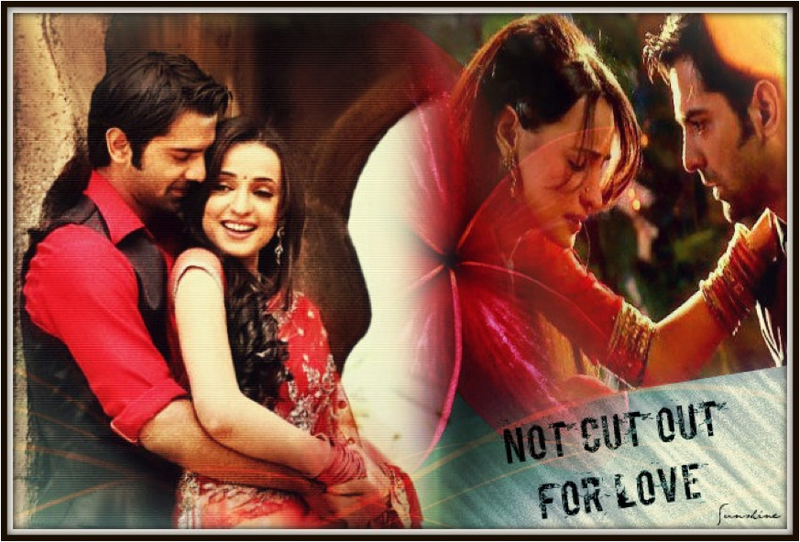 he spoke almost gently, his tone low… but khushi could feel the rage in asr’s voice. he was standing looking at them. why didn’t the wretched door of this room make any noise when it was opened thought khushi. everyone froze. the boss was here and they were all having too much fun for it to look good. “please come with me,” he said to no one in particular, turned around and left. she knew who that sentence was directed at and started to move. khushi had never been out with a man before. such things did not happen in her sort of life… but then for the last many weeks everything had been new, and she had survived it… even enjoyed many things. plus that look on laad governor’s face. who exactly did he think he was. she gritted her teeth. the young frenchman gave her a thumbs up and for some reason she felt really really happy. he was standing just inside the door when she entered his office. the moment she stepped in, he grabbed her elbow and turned her around roughly to face him. 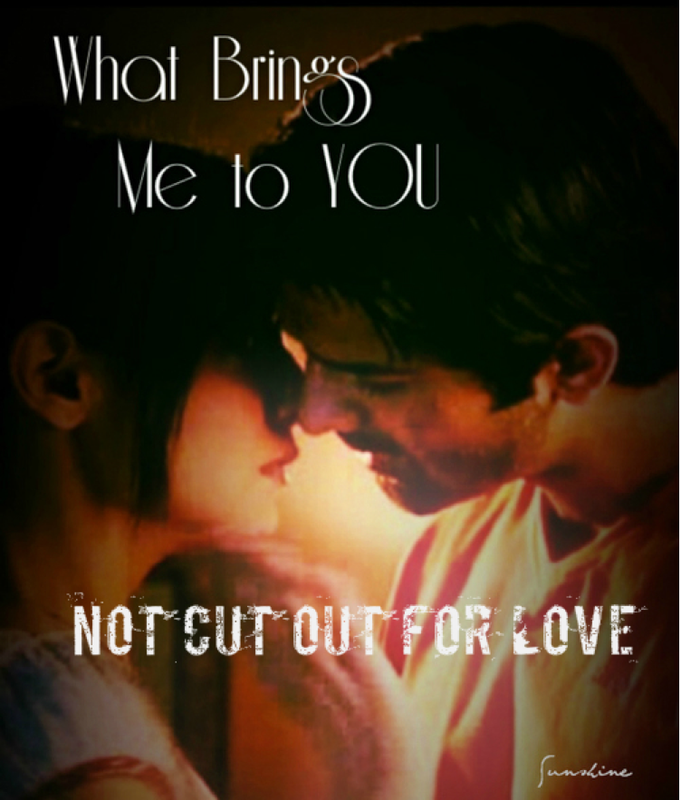 “what do you think you are doing… tum kya kar rahi ho?” he whispered furiously. lips thin, jaw taut, eyes blazing. “hum?… kya kar rahe hain hum?” khushi was aghast. her eyes started to water, his grip was painful. she suddenly realised he was shaking all over, his eyes were shut tight, he seemed to be struggling to get some control. “ar… nav ji?” she forgot she had switched back to “sir”, that she hated him, that she was angry with him for so many many reasons, she felt his pain somewhere inside her. she didn’t like to see him like this. khushi turned and ran out of the room, his pain, her hurt, everything jumbling up and ricocheting in her. Payal dialed akash’s number with halting fingers, when akash picked up the phone, she said, “akash ji, i think my answer is yes, but i also feel this is not right…” then she put the phone down without a word. akash sat there with the silent phone in his hand, he had just started to smile at the “yes” when what she said after that hit him in the solar plexus.